Disneyland spokeswoman Suzi Brown said power has been restored to all areas of the theme park. In a Twitter posting, Disneyland said the park was fully open. Disneyland, the Walt Disney Co. theme park in Southern California, was fully operating following a power outage that lasted for several hours on Wednesday, disrupting several popular rides during one of the busiest weeks of the year. PARKS UPDATE: As of 5:00 p.m. access to Disneyland Park is now available. 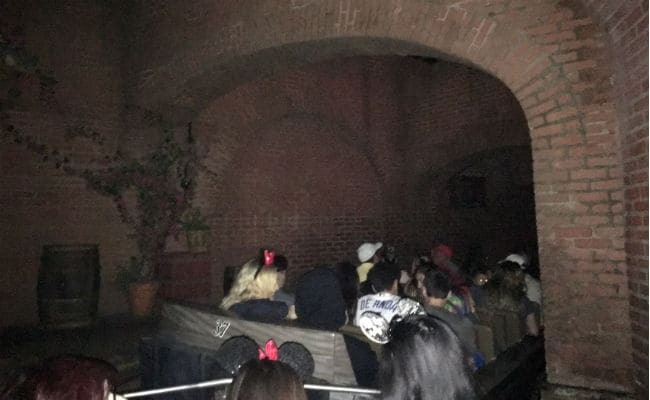 During the power outage, Disneyland had said that it was accepting visitors only for re-entry. An issue with a transformer that supplies power to the Toontown and Fantasyland areas in the park caused the outage. PARKS UPDATE: We have experienced a power outage near Mickey's Toontown and Fantasyland. We are working diligently to restore power to the affected areas as soon as possible. Select offerings are now available such as Toontown and "it's a small world" Holiday. The theme park, which calls itself "The Happiest Place on Earth," draws tens of thousands of visitors each day. Popular rides including "Pirates of the Caribbean" and "Finding Nemo" were all affected, said Los Angeles resident Ashoka Thiagarajan, who was visiting with his wife and two children. "It's a huge disappointment. This is my mom's Christmas present to all of us. This has been in the making since August," said Thiagarajan, who was stuck inside "Pirates of the Caribbean" for some 20 minutes. Many visitors took to Twitter to complain and ask for refunds. "How's Disneyland gonna have a power outage the day we paid $124 for peak day tickets?" one visitor tweeted. The Disney California Adventure theme park was unaffected by the outage, the park said in a tweet.